Give me my cornbread sweet. I like it with a little sugar, just enough to enhance the natural sweetness of the corn. It’s the way I’ve always made it and I’m sticking to it! 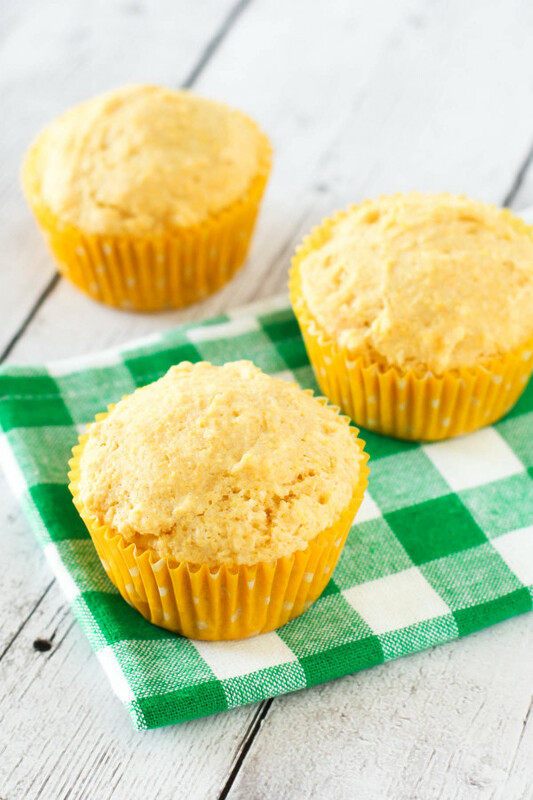 These sweet corn muffins are pretty much the perfect serving of warm, soft cornbread. In our house, I serve these with a giant bowl of hearty chili with beans or rustic veggie soup. My kids always get excited when they see the basket of freshly baked sweet corn muffins on the table. It makes dinnertime even more fantastic! Baking homemade gluten free cornbread is easy peasy. Just a few simple ingredients, I promise. 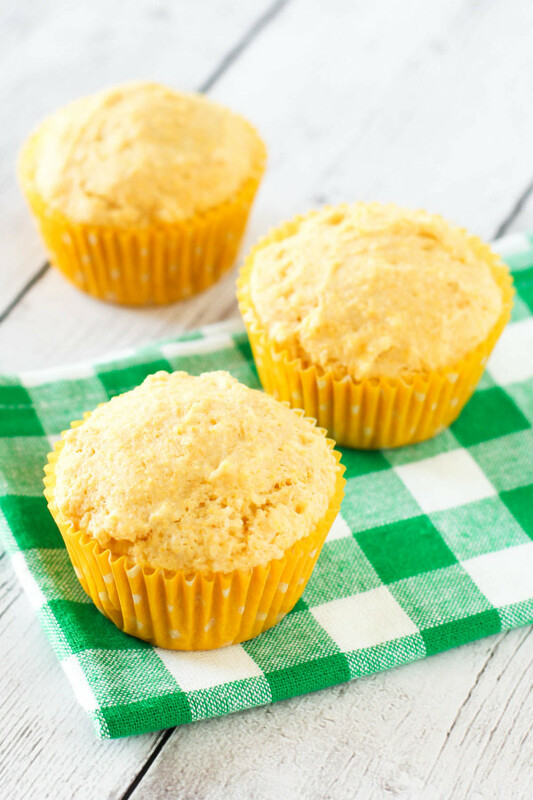 Please oh please give this sweet corn muffin recipe a try! Your family will thank you. Your belly will thank you. Preheat oven to 375 degrees. Line muffin tin with paper liners. In large mixing bowl, whisk together flour blend, cornmeal, sugar, baking powder, baking soda and salt. Set aside. In separate bowl, mix together coconut milk and vinegar. Pour over dry ingredients, along with melted coconut oil. Stir until just combined. Scoop batter into prepared muffin tin, filling almost to top. Bake 18-20 minutes or toothpick inserted in center comes out clean. Place sweet corn muffins on cooling rack to cool completely. Best served warm. Yum! Those are great, I love corn muffins! We LOVE these muffins. I have doubled the recipe to make a loaf and that works great, too, in a cast iron skillet. Our favorite treat with this is to cut organic hot dogs into thirds and place it in the middle of the muffin for mini corn dogs. I just cook it a few extra minutes. They are amazing and the closest thing we can get to the comfort of corn dogs. But after these we wouldn’t want to go back to regular ones if we could. Thank you for sharing your recipes!! 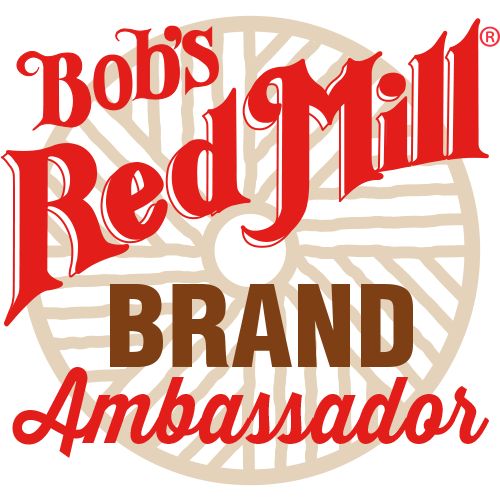 We are so blessed to have tried and true recipes that are gluten free, vegan, and no nuts. Each one we have tried has been a winner and a repeat. I’m so glad to hear you love these muffins as much as we do, Rachael! I made 24 mini muffins for my husband and I to go with portobello mushroom stew. Hubs is just starting gluten free dirt and he is a bread lover. From Sunday night until Monday afternoon he ate 17 of them and is begging for more. Thank you for this recipe. You’re welcome! So glad you enjoyed them!